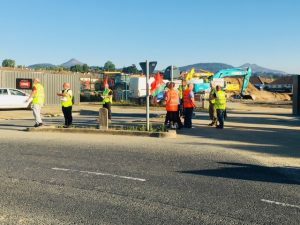 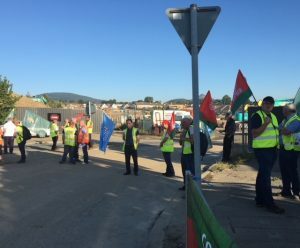 The Construction Industry Committee of ICTU unions, BATU, SIPTU, Connect & OPATSI held a protest to highlight the issue of Bogus Self Employment and non-compliance with the Sectoral Employment Order (SEO) in the Construction Industry outside the Cairn Homes Project at Charlesland, Greystones, Co Wicklow on Friday 29th June 2018. 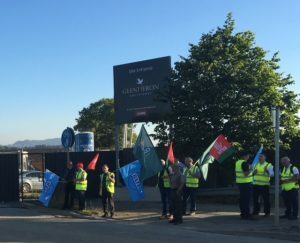 Despite the enactment of the Sectoral Employment Order (SEO) non-compliance remains a huge problem in our industry. 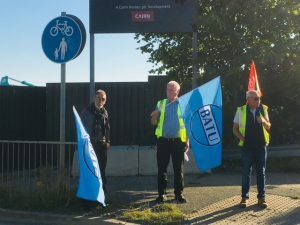 Let’s all work together to end the scourge of Bogus Self Employment and secure the right to PAYE employment, Pension, Decent Pay and Conditions of Employment for all Construction workers. 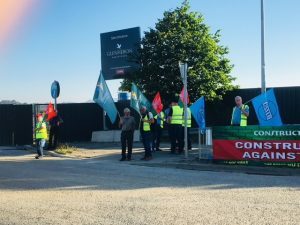 Ní neart go cur le chéile – STRONGER TOGETHER.